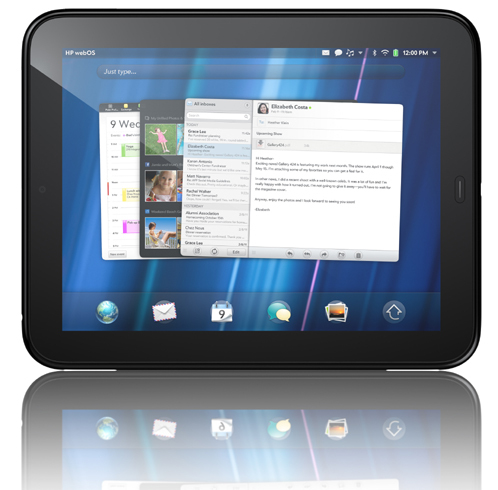 Despite that fact that HP is discontinuing production of WebOS devices, it still appears as if the company is very much interested in the success of the WebOS platform as well as the growth of WebOS applications. While this is good news for the platform, it is especially good news for owners of the HP TouchPad tablet. The latest TouchPad news comes out of Wal-Mart who joins Best Buy in offering the rather popular tablet with purchase of a qualifying laptop. So, if you happen to be a developer, HP will allow you to pick up the WebOS tablet and a laptop, or two of the 32GB tablets, for only $150 each. The TouchPad Device Purchase Program requires registered developers in the United States, Canada and Europe to request coupons for the discount by November 18. These coupons are then valid through November 27 or until supplies run out, with HP emphasizing “while supplies last”. If, unfortunately, you are not a developer, then don’t worry, you still may be able to get one of these tablets for that insane $149.99 price tag at Wal-Mart. Similar to the Best Buy offer, you will also need to buy a computer in order to qualify. The offer from Best Buy is a little more flexible than Wal-Mart’s with qualifying computers at Best Buy including devices from Compaq, desktop computers, and all-in-ones. Wal-Mart restricts the offer to one of eleven HP laptops. Unlike the Best Buy offer, however, online ordering is offered at Wal-Mart, allowing you to get the deal from the comfort of your couch. The cheapest HP laptop at Wal-Mart that is eligible for the bundle is the 15.6″ HP 2000-239WM priced at $348. The laptop is pretty low-end, which isn’t surprising, and comes with an Intel Celeron T3500 processor, 3GB of RAM and a 320GB hard drive as base features. By comparison, the cheapest HP laptop eligible for the deal at Best Buy is the a 14″ Pavilion with an AMD A-Series processor, 4GB of RAM and a 320GB hard drive for $350. This deal is great for developers, who could possibly get two tablets for the holidays and use one as a gift. It is also perfect for anybody who missed out on the original fire sale and was looking into getting an HP laptop in the first place. Greetings! I’ve been following your weblog for a long time now and finally got the courage to go ahead and give you a shout out from Porter Texas! Just wanted to say keep up the great job!